How would you like to wine and dine at a bar and restaurant in Manila that revolves so you get a 360 degrees change of view after about two hours? 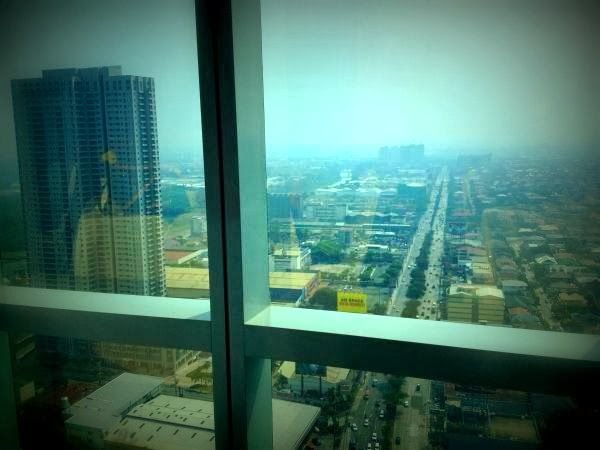 The first revolving restaurant located on top of a building that Tutubi visited was Baiyoke Sky in Bangkok, Thailand more than ten years ago. 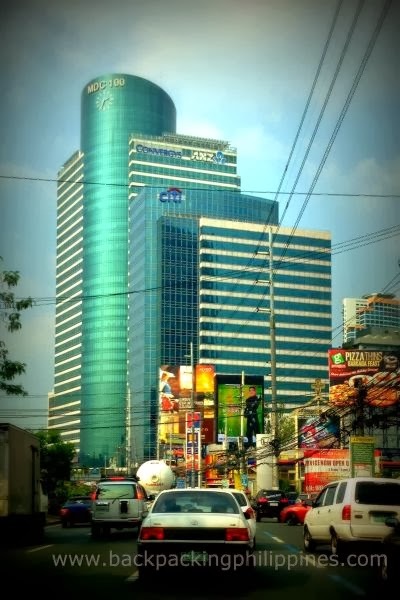 The sprawling Thai capital now has lots of revolving bars and restaurants but the idea has not caught on in Manila until a few years ago. Tutubi, who prefers budget-friendly, frugal food finds and fun dining seldom splurges to eat at pricey fine dining restaurants. 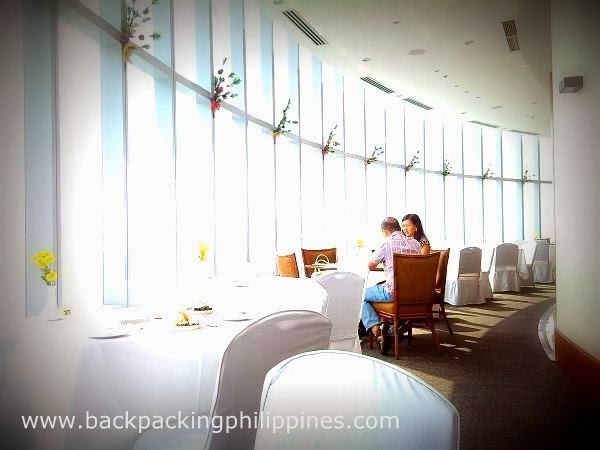 There are exceptions, of course, including this visit to a fine dining revolving restaurant in Quezon City called 100 Revolving Restaurant by Chef Jessie in Eastwood City, Libis. Only the outer tables of the restaurant revolves, not the whole floor, of course! 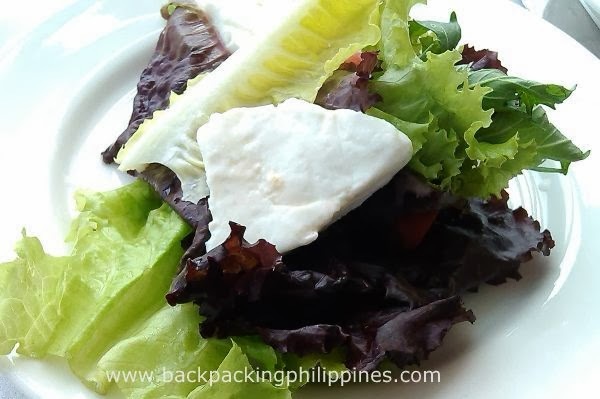 Food: as usual, like in most hotels, Tutubi likes the soups, salads and desserts. The main course dishes were typical hotel/fine dining food. There's lechon de leche that time, sinful but it's not always so it's ok to stuff on a few cholesterol once in a while. Clients: lots of VIPs, rich families and eye candies dining there. 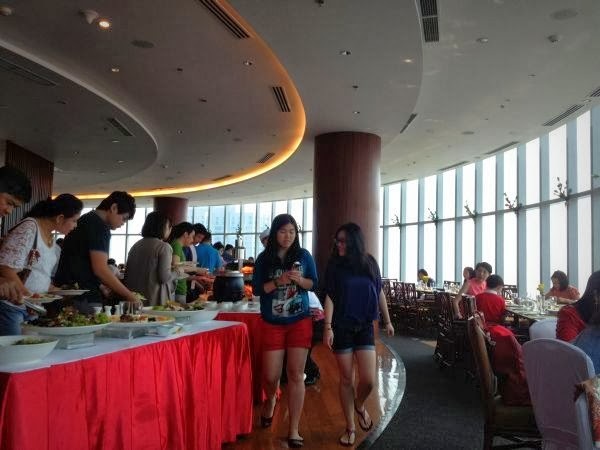 As Tutubi ate around lunch, the place is just a quarter full at 11am but full of people and long lines at the buffet table at 12nn, better come early.